Natural stone has been used in roofing applications and proven durable in excess of one hundred years. Historically, natural stone has been used for roofing more so in the north of England and Scotland. 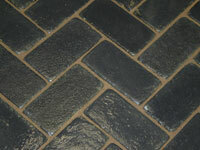 Due partly to the harsh weather conditions and also, availability of suitable local stone. With the advent of the internet and modern efficient transport Bingley Stone now supply natural stone slates to customers nationwide. 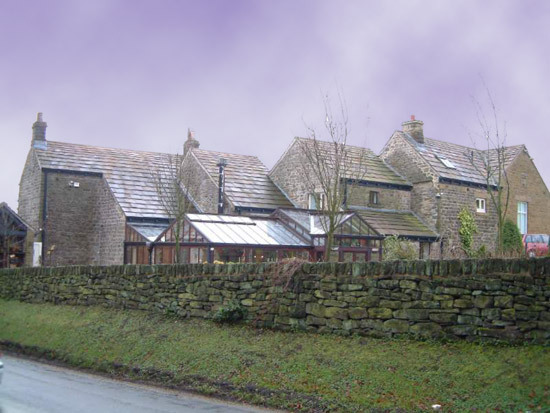 Natural stone slates are traditionally laid in diminishing courses. This means that the bigger slates are laid at the bottom of the roof and the courses reduce in size towards the top. A well tiled natural stone roof is a pleasure to look at and an asset to any property. 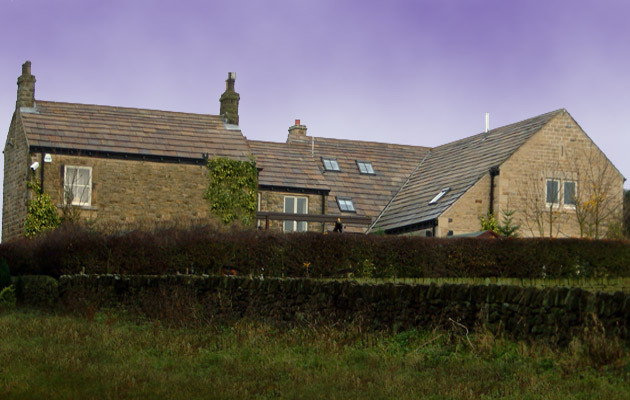 Bingley Stone make natural roof slates available in a range of sizes to accommodate laying in diminishing course layouts. From plans or measurements we can provide a battening plan and supply the stone slates in the required sizes for that batten plan. This service can greatly reduce both the cost of the materials and the cost of labour by eliminating wasted time and materials. Examples of new natural stone slates. 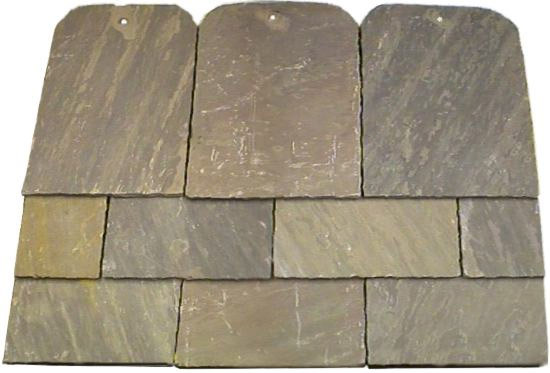 Below are some examples of natural stone roof slates. Natural stone slates are traditionally random sized. The widths and lengths both vary. Slates are laid in diminishing courses from the larger ones at the bottom to the smallest at the top. Our new natural stone slates range from 950mm (38") tall down in 50mm (2") increments to 350mm (14") tall. This traditional form of slating is very common in Scotland and the north of England. It ideally requires the skill of an experienced slater but produces a weather resistant, high quality and most attractive roof. What is a batten plan? From architectural drawings, or even simple measurements Bingley Stone can create a diminishing course battening plan. This means we calculate what size courses will be required and more importantly, where the battens are to be fixed to result in a diminishing coursed layout to fit the size of your roof. We will then supply the stone slates to comply with the batten plan. This service can greatly reduce both the cost of the materials and the cost of labour by eliminating a lot of wasted time. The above sizes demonstrate the course heights available. 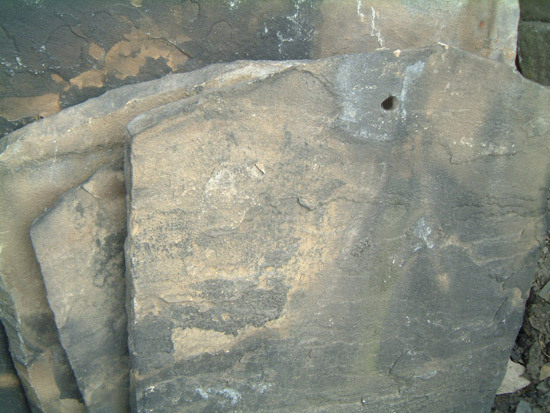 The measurements are taken from the bottom of the slate up to the fixing hole. This illustration is intended to show the colouring and an indication of the proportion of the mix of colours. As always with any natural stone there will be colour variations. Note: Colours may vary due to your monitor & printer settings.